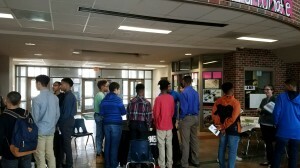 On Saturday, April 15, 2017 AAFO members Ann Woodford (Goodwill Omaha) and Shiletha Snoddy (SKAR) attended the Annual Teen Career Fair hosted by 100 Black Men of Omaha, Inc.
Young men and women of the community, ranging between 7th grade and Freshman in college, met with local organizations to learn more about different agencies as well as multiple career options. A couple in attendance included Omaha Police Department, Avenue Scholars Foundation, Hilton Omaha and many more. Shiletha spoke on behalf of her planning and buying media expertise. Ann spoke about being an in-house graphic designer. 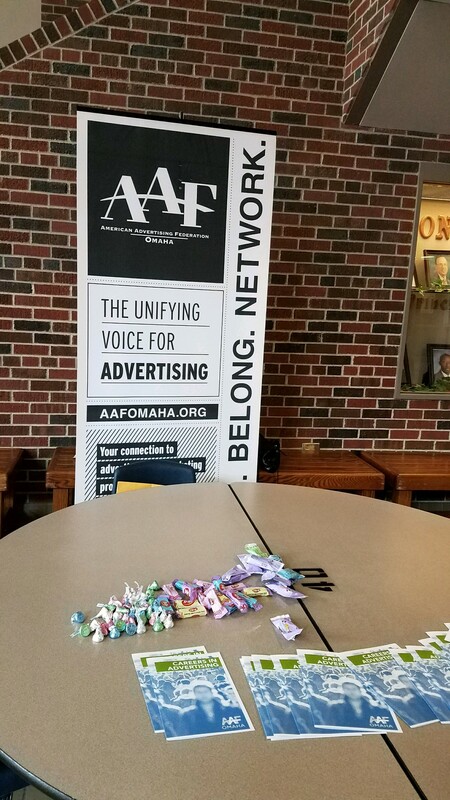 Then the two combined efforts and spoke about the collaboration between multiple departments within advertising companies and what it takes to make successful campaigns work for brands in our communities. 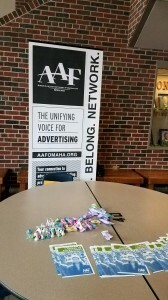 The event was a great success and AAFO is very honored to be a partner!